With CCTV, full GPRS tracking, licenced vehicles and drivers with an enhanced DBS you could not be in safer hands……..
Whatever the length of your stay in Brighton and Hove, City Cabs Brighton will ensure your trip to the shops, restaurant or sensational seafront is just a smooth and safe ride away in one of our Brighton taxis. With some of the most knowledgeable taxi drivers in the Brighton and Hove area and the latest taxi booking and satellite technology, you are assured of a first class Brighton taxi service to and from your destination. Finding your way around a city on the first few occasions you visit is always a daunting experience. But not if you choose to travel in a Brighton taxi from City Cabs Brighton! We are proud of the experience and customer understanding that our Brighton taxis, multi-seater and executive drivers offer every time passengers step foot in one of our vehicles. And the journey means much more to us than simply A to B. While we want your trip to be a seamless and effortless experience, behind the scenes our Brighton and Hove taxis support teams are using the latest technology to make sure you are not unduly inconvenienced by heavy traffic and avoidable delays. 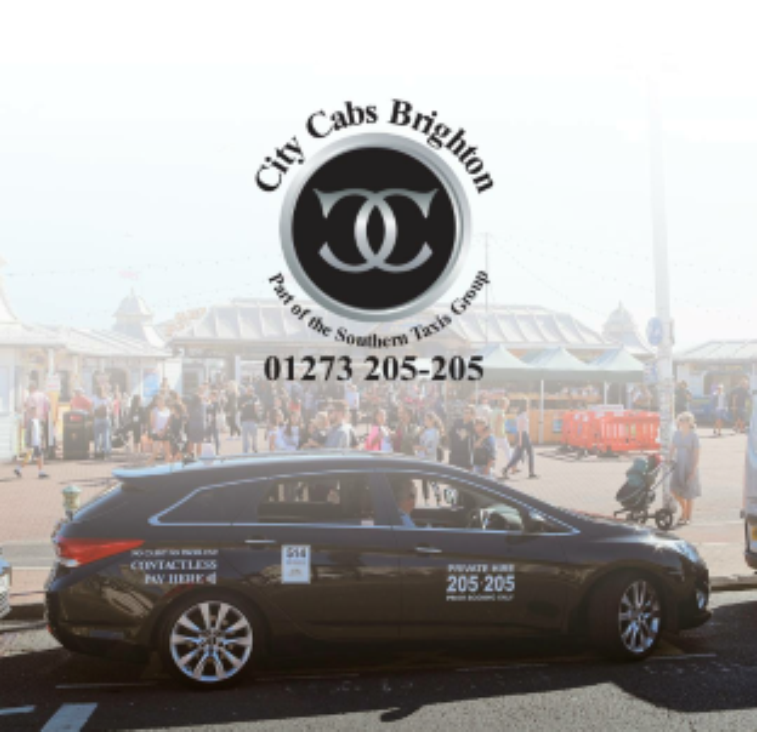 As City Cabs Brighton is one of the largest Brighton taxi companies, we can take you anywhere you need to go at short notice, whether you need an airport taxi from Brighton to Gatwick or Heathrow or a large wheelchair accessible taxi late at night, we’re the taxi company for you! 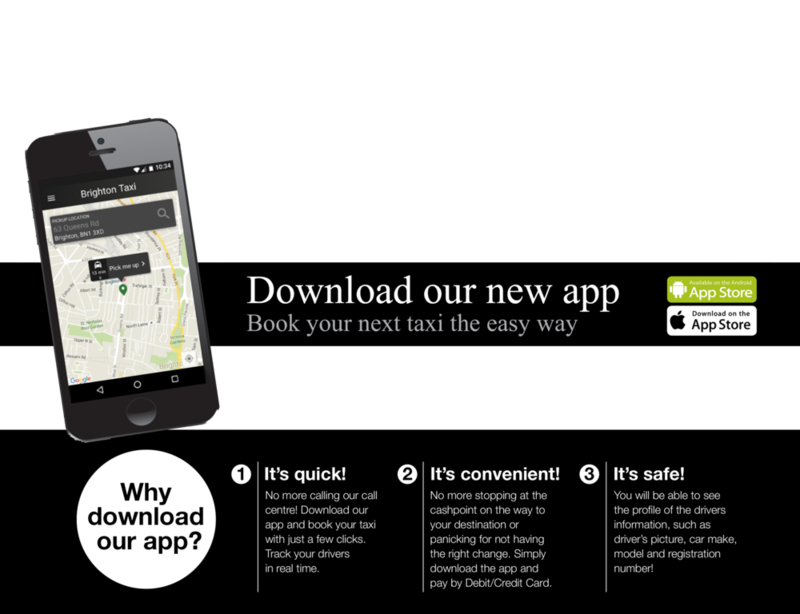 To book with City Cabs Brighton taxis you can use our online imediate booking button, booking form or call us on 01273 555 555.